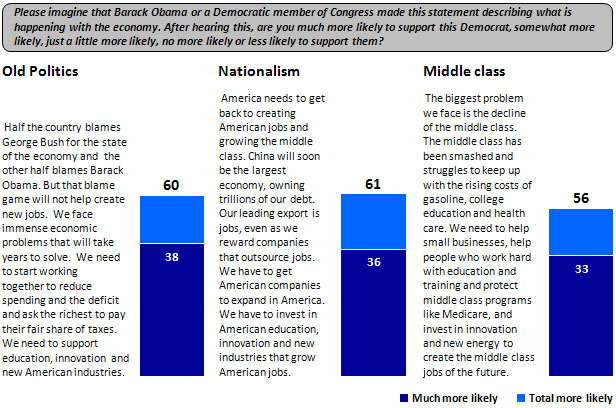 1But it’s worth noting that “Old Politics,” which scored about the best, seems to be Barack Obama’s chosen message. I guess he must have commissioned a poll just like this one. And China bashing, of course, also scored well. It’s the little black dress of campaign demagoguery.